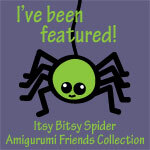 The Itsy Bitsy Spider Crochet: Feature Friday! There's been a recent burst of activity in the Flikr group and I had a really hard time picking the pictures for Feature Friday. I've been thoroughly enjoying the monster theme going on over at The Compendium of Cute and decided I might as well stick with it for this week's feature... so aw-ayyyyy we go! 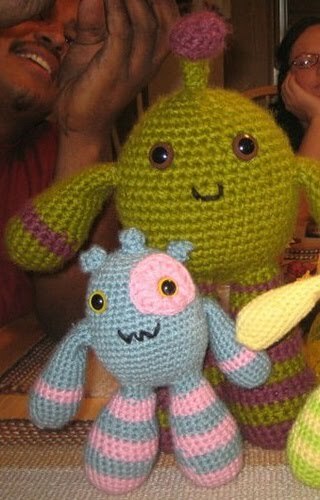 Next up is a pair of cuties from the inspirer of the monster theme herself, Tee* How adorable are the little ears on that blue guy? She's got about half a dozen of the little cuties loaded to the Flikr group, so make sure to swing by and be ooo'd and awww'd over the cuteness! The last monster is definitely not on the cute side of the scale, but absolutely amazing in design and technique. But then again, what would you expect from our friend Lucy Bad Dog? 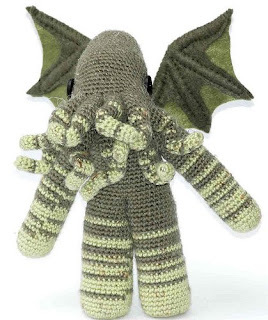 Lucy's Cthulu is an original design, crocheted in one piece from the bottom up. 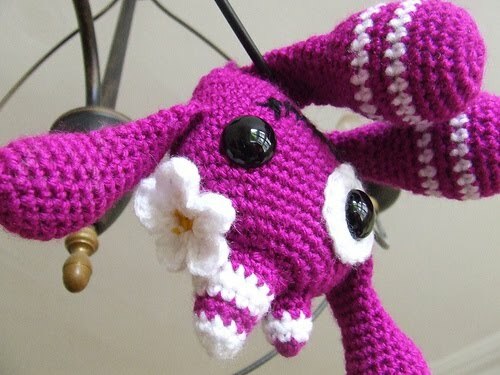 I don't know about you, but I would have gone absolutely crazy trying to keep all those tentacles straight! Absolutely amazing work, Lucy! I'm already looking forward to seeing what makes its way into the Flikr group next week. Thanks to everyone who participated - I hope you'll spread the word and celebrate with this special blog badge! Oh, those are all way cute. I especially like Lucy's guy. True this, CMC! I'm usually not a big fan of Cthulu (though I've logged quite a few hours of the role playing game back in high school). Lucy's design is just AMAZING! !